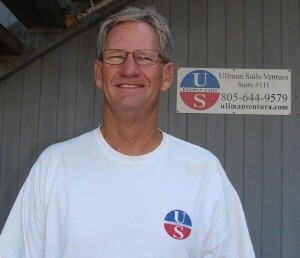 Ullman Sails Venutra began as Swenson Sails. Owner Gary Swenson spent a few years working at a couple of Southern California lofts polishing his sail design and construction techniques. At the same time he was sucesfully campaigning his dad’s Ranger 26 “So Long” up and down the California Coast. 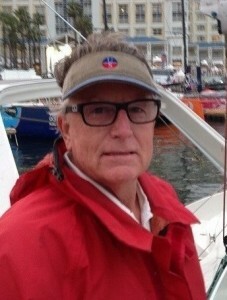 Aside from winning the 1973 MORA Long Distance Race(San Francisco to San Diego), and taking an Ensenada Victory overall in the MORF Class of over 70 boats, he had just completed winning the prestegious Los Angeles Yacht Clubs” Little Whitney” series. 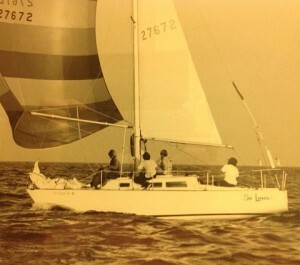 In 1975 a stock Ranger 33 would be considered a surprise winner in a fleet of modern IOR boats racing from Marina Del Rey to Puerta Vallarta. Gary Swenson as co-skipper with boat owner Jack Stiedl, an enthustiastic competitive crew (including Deke Klatt and Scott Tempesta) and 10 days of racing, they won by 35 minutes on corrected time. 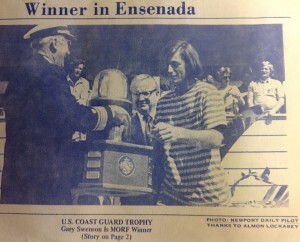 After winning the Santa Cruz Nationals 1977, Gary saw a local demand for quality racing and cruising sails. He partnered with friend Alden Glickman to open the doors of Swenson Sails. He became a consultant to The Catalina Yacht Factory Sail Loft, in addition to testing their boats. Soon customers from Santa Barbara, Marina Del Rey and a few from San Diego were on the phone ordering sails. Deke Klatt is part of the original crew of the sail loft and also worked for a while as a boat rigger. He is a passionate competitive sailor, highly skilled as sailmaker, and is willing to share his knowledge in rigging with customers. Deke is well known in the J 24 class, competing in Italy, Austrailia, Mexico, won the J 24 North Americans in Vancouver, Canada, and winner of the 2013 Mallory Cup (USSA Men’s Sailing Championship). Winning campaigns in Olson 30’s, Peterson 34’s and Schock 35’s. He races his Wiley Wabbit on Wednesday Nights in the summer and don’t be surprized to see him racing Lasers on Friday evenings here in Ventura Harbor. Rossi Acree joined the crew in 1979. 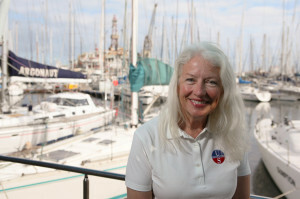 At the helm and crewing on race boats, bow to stern, her passion for sailing, experience in computers, graphics, accounting, and sewing have made her an all around fit. In the early 80’s Gary bought his partner out and, as a Sole Proprietor, stepped into the rapidly advancing technology of computer sail design. His relationship with Catalina Yachts continued as they developed their newer boat designs. Success in San Francisco’s Big Boat Series, the SORC., Hawaii’s Kenwood Cup and the One Tone North Americans expanded the profile of the lofts customer base. 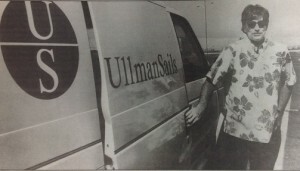 The mid 80’s brought the opportunity of joining Ullman Sails, becoming Ullman Sails Ventura. Sharing the network of sail design concepts, technology, and experience gave us the ability to stay on top of the rapid changes occurring in materials and construction and provide the best product for our customers. This is true even today. With over 75 locations in more than 30 countries on 6 continents. The Ullman Sails International technology team continues to vigorously push the development of existing technologies and evaluate new technologies that will make the sailing experience better for our customers. 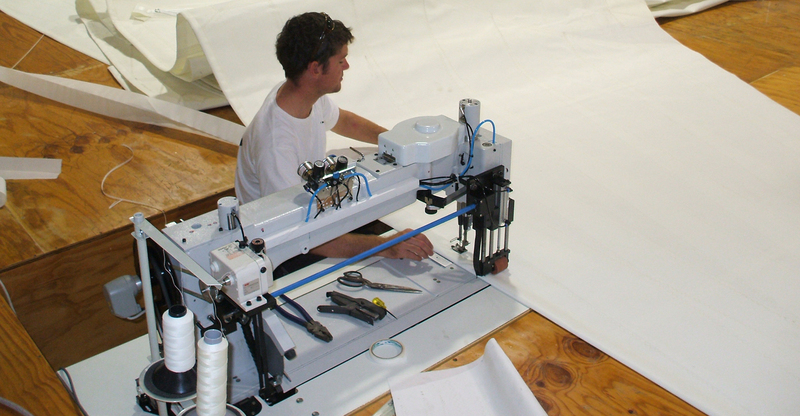 Being an Ullman Sails Loft means our customers can count on the highest quality sails that are the result the most current research in design and Manufacture.